Could your research impact the world or do you have an idea that could create positive change? Need funding? SPROUT can help with that. The popular SPROUT program, now in its sixth year, has announced increased funding for the 2016 round of proposals. SPROUT is funded by the Office of the Provost and run by Office of Technology Licensing. This year the Hassenfeld Family Innovation Center, recently created to support entrepreneurial and innovative collaborations happening across campus, contributed an additional $50,000 to be disbursed among the most promising requests. Historically, the program has supported a diverse scope of lab-based innovations from all departments in the sciences including Biology, Biochemistry, Physics, and Chemistry. Past candidates have proposed projects ranging from early‐stage research and development to patent‐ready projects ranging from treatments for diseases to lab tools. Brandeis lab scientists have pitched their projects, including HIV vaccines (Sebastian Temme, Krauss lab), neuroslicers (Yasmin Escobedo Lozoya, Nelson lab) and the use of carrot fiber as an anti-diabetic (Michelle Landstrom, Hayes lab) to a panel of distinguished, outside judges. A SPROUT award can jumpstart your innovation and lead to continued opportunities. SPROUT awardees researching the use of carrot fiber as an anti-diabetic food agent were just awarded additional funding by the Massachusetts Innovation Commercialization Seed Fund program. 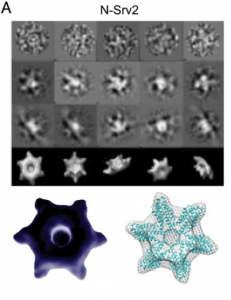 Other successful projects include “Enzymatic Reaction Recruits Chiral Nanoparticles to Inhibit Cancer Cells” led by Xuewen Du from the Xu lab, “Semaphorin4D: a disease‐modifying therapy for epilepsy” led by Daniel Acker of the Paradis lab, “X‐ray transparent Microfluidics for Protein Crystallization” led by Achini Opathalage from the Fraden lab and “New and Rational Catalyst Development for Green Chemistry” from the Thomas lab. Those interested in learning more about past SPROUT winners are invited to read this recent Brandeis NOW article. A list of additional winners, along with their executive summaries, is available on the Brandeis OTL website. Teams seeking support for scientific projects which require bench research, lab space, and/or lab equipment are encouraged to submit an abstract prior to the March 7 deadline. The competition is open to the entire Brandeis community including faculty, staff, and students. The Office of Technology Licensing will conduct information sessions on Thursday, February 25th 11:30 a.m.‐12:30 p.m. in Volen 201 and on Monday, February 29th 1:00 p.m.‐2:00 p.m. at the Shapiro Science Center, 1st Floor Library. Staff will address the application process as well as specific questions and interested applicants are highly encouraged to attend. 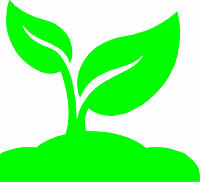 More details regarding the SPROUT awards, process and online application may be found at bit.ly/SPROUT16. 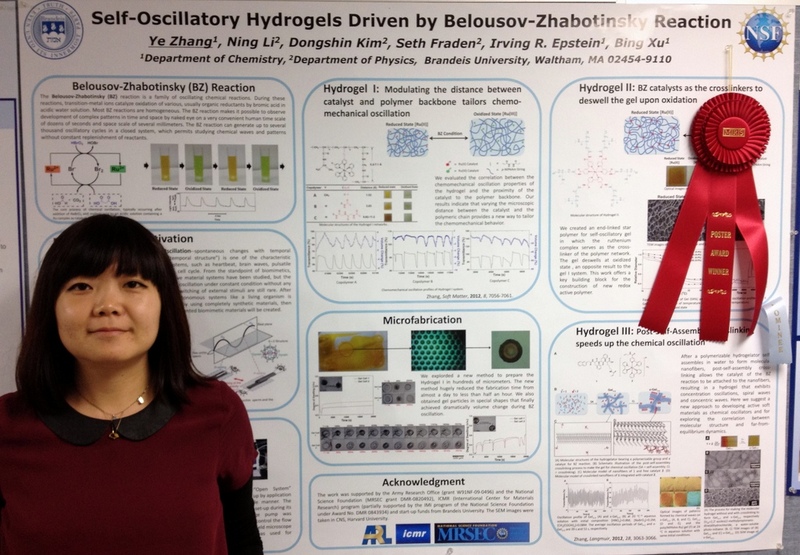 Ye Zhang, a Postdoctoral Fellow from Prof. Bing Xu’s research group at Brandeis, won the 2012 MRS Fall Meeting Poster Awards for her poster titled Self-oscillatory Hydrogels Driven by Belousov-Zhabotinsky Reaction within the symposium on Bioinspired Directional Surfaces-From Nature to Engineered Textured Surfaces & Precision Polymer Materials-Fabricating Functional Assemblies, Surfaces, Interfaces, and Devices. The goal of the project is to make materials that operate like synthetic cardiac or intestinal muscles; feed them and they will pump forever, or as long as the arteries remain open. Ye, the poster’s lead author, is a member of the Brandeis Materials Research Science and Engineering Center (MRSEC) working on project involving the groups of Profs. Bing Xu, Irving Epstein and Seth Fraden of the Chemistry and Physics Departments. Ye’s work focuses on the development and study of active matter based on non-linear chemical dynamics, specifically the Belousov-Zhabotinsky reaction. Beginning two years ago she systematically modified a class of gels that exhibit periodic volume oscillations which were produced by other groups. First, Ye succeeded in significantly improving the amplitude of volume oscillations. Next, she developed several novel self-oscillatory systems and established a systematic way to improve the bulk material properties of the synthetic heart. To build a reliable beating heart, Ye optimized the molecules building the material at the molecular level of tens to hundreds of atoms, or scales of 1 nm and then figured out how to assemble them into networks of polymers on the scales of 10 – 100 nm, and then further assembled them on a longer length scale, into elastic networks on the scales of microns, and finally sculpted the resulting rubbery materials using photolithographic and microfluidic methods into useful shapes for study and application. Ye’s award is a recognition of her contribution to molecular engineering and serves as a quintessential example of the “bottom-up” construction methods exemplified by the interdisciplinary teams of the Brandeis MRSEC. Research from Bing Xu’s lab, published in November in Journal of the American Chemical Society, has recently been featured in C&E News. The Xu lab researchers, including Chemistry grad students Jiayang Li, Yi Kuang, Yuan Gao, Xuewen Du and Junfeng Shi, synthesized hydrogels by synthetically coupling small D-amino acid peptides to naproxen (a non-steroidal antiinflammatory drug – NSAID). This was done with the idea of forming gels that can be used for topical pain treatment. Studies on the compounds formed showed that not only are gels formed, but the D-peptide conjugates of naproxen showed better selectivity towards COX-2 (the therapeutic target) compared to COX-1 (a source of side effects) than naproxen alone or an L-peptide conjugate. Clinical applications are still far away, but this finding opens exciting new avenues for research. Li J, Kuang Y, Gao Y, Du X, Shi J, Xu B. d-Amino Acids Boost the Selectivity and Confer Supramolecular Hydrogels of a Nonsteroidal Anti-Inflammatory Drug (NSAID). J Am Chem Soc. 2012.